Dr. B smiles Orthodontics is pleased to offer a special club membership to all their patients in the observation stage of orthodontic treatment. Observation is a very important part of any orthodontic treatment for young patients because it allows Dr. Bonavoglia to monitor the growth and development of the teeth and jaws through a series of regular six-month visits. We want to make those appointments too exciting to miss! We don’t think you should have to wait to participate in fun patient activities just because it is not time for your braces just yet. Through our “Dr. 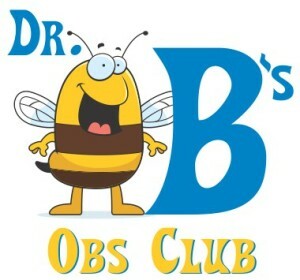 B’s Obs Club” membership you can have fun and earn great rewards while you wait in our observation club! Get a great Obs Club t-shirt and other nice incentives with the club name. Start to earn points on your Dr. B Super Smiles Rewards card for great prizes when you have good oral hygiene, show up to your appointments on time, and of course, wear your Obs Club t-shirt. Be automatically entered in a quarterly drawing for terrific Obs Club gifts….,like movie tickets, gift cards and more! Receive invitations to special Obs Club parties. Receive a gift when you graduate from the Obs Club into braces.